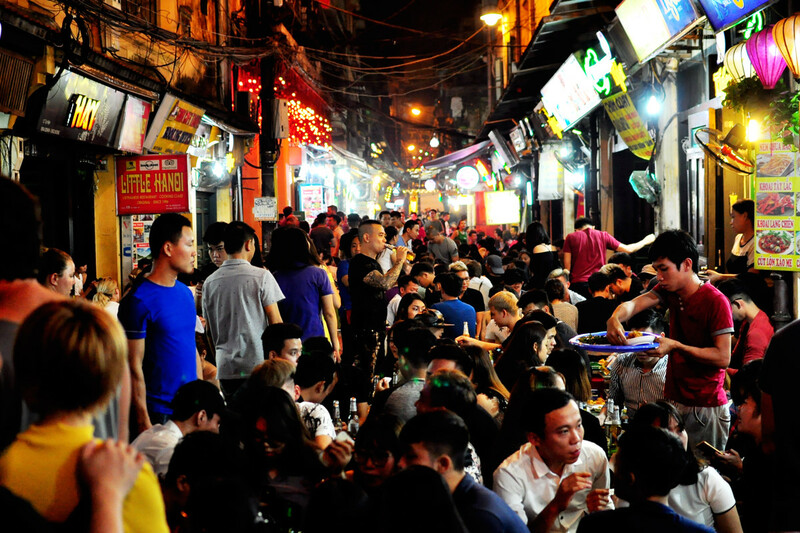 Ta Hien Beer Street – Street of foreigner and beer in the center of Hanoi is known as the first street where the majority of foreign tourists set foot on when coming and before leaving Hanoi. 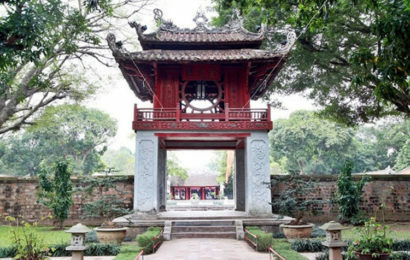 Ta Hien is a small street lying in famous Old Quarter of Hanoi, near Hoan Kiem Lake. The street just stretch 200 meters, but it is one of the most crowded streets in Old Quarter particularly and in Hanoi generally. 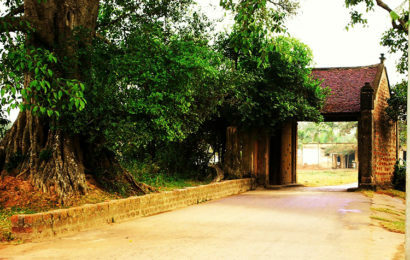 Ta Hien has the most specific features of both old Hanoi and modern Hanoi. 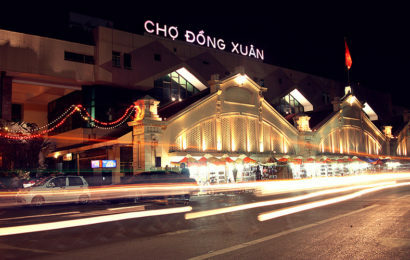 It is named “international crossroad”, drawing many foreign visitors and also Hanoi people. On the small and crowded street of Ta Hien, you can find variety of best Hanoi street foods such as Nem chua, Vietnamese bread, noodles, sweet porridges,… Especially, in summer, Ta Hien is famous for beer. Summer in Hanoi is quite hot and dam. And that is the reason why people choose cool beer as a preferable drinking. 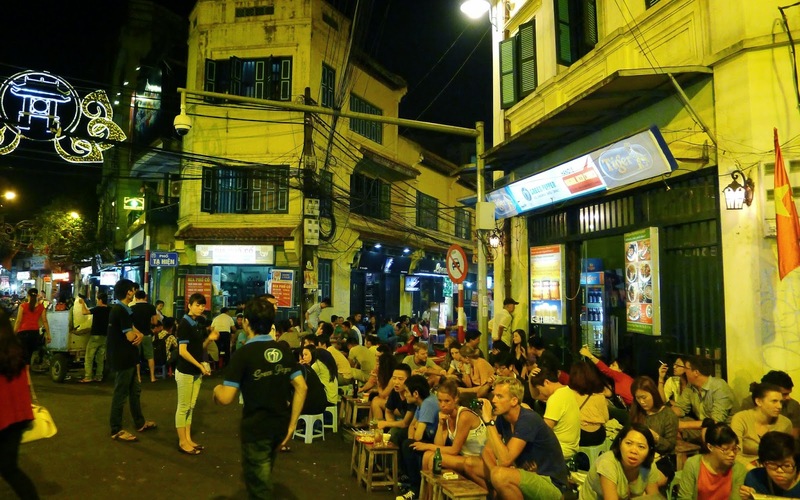 In the afternoon, hundreds foreign travelers and Vietnamese people gather in this small street and enjoy a cup of iced beer after a hard-working day. They just sit on a small-sized plastic chair, hold their beer mug, order some snack foods and chat with their friends. Other foreigners would like to sit in corner of the street and watch the daily life as well as the very charming clutter of Hanoi. There are lots kinds of beer for you to choose, including draught beer, bottled beer, cask ale or black beer. 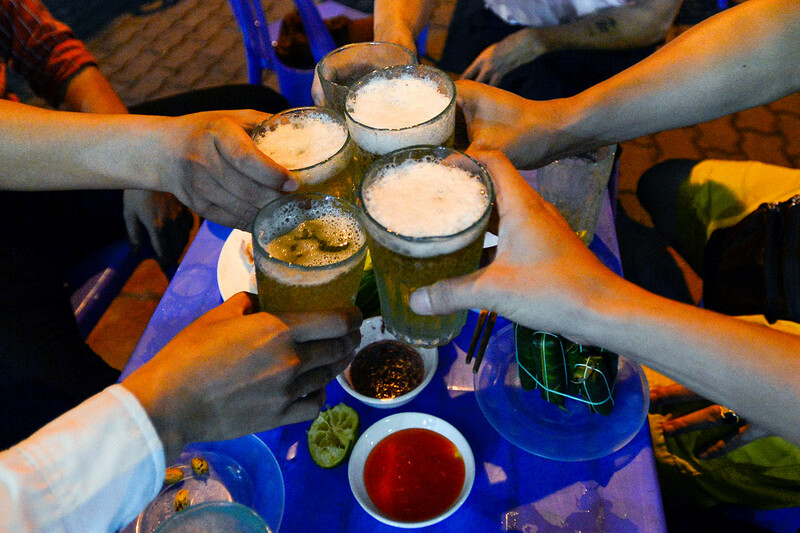 Vietnamese beer is reviewed sweet and pretty slight, so you can take more than 5 mugs without getting drunk. The snack foods to serve with the beer are also diverse, from traditional ones such as nem Phung, fried nem, nem, boiled peanut to Western ones such as fried chip, cheese stick,… The prices are generally cheap. 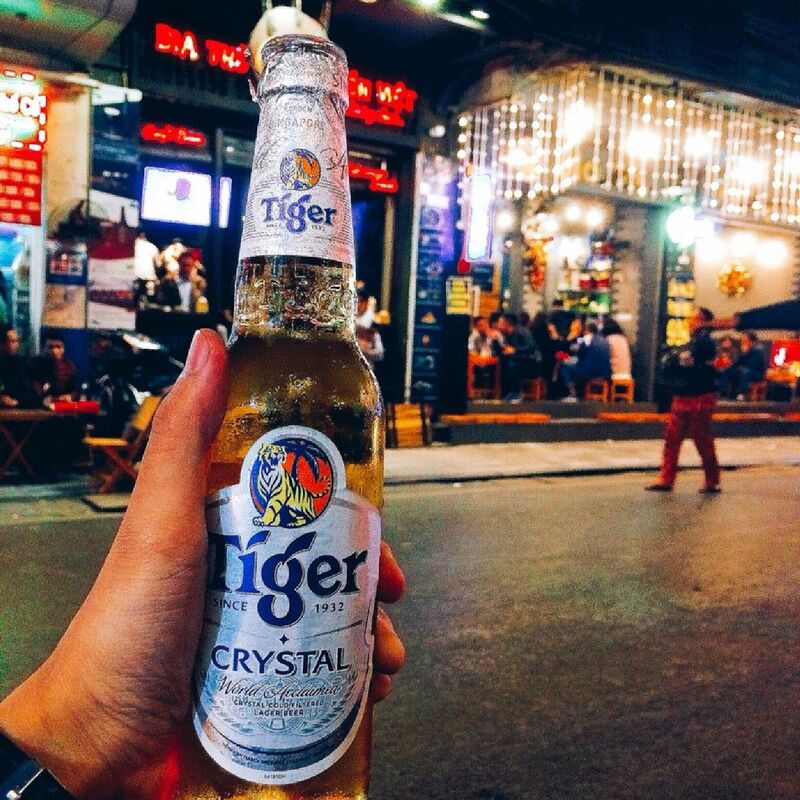 The common thing among beer restaurant in Ta Hien is its simple and street style. Everything is on street sides with plastic chairs used for both seat and table. The customers can order a mug of beer and sit for hours without being interrupted. The comfortable and friendly atmosphere as well as great beers and foods are the main reasons for the attraction of Ta Hien Street. The hotter the weather is, the more people come to Ta Hien. Sometimes in weekends, there is no empty seat. The street starts getting crowded after 5pm, when the sun is about to come down and the street is getting cooler. 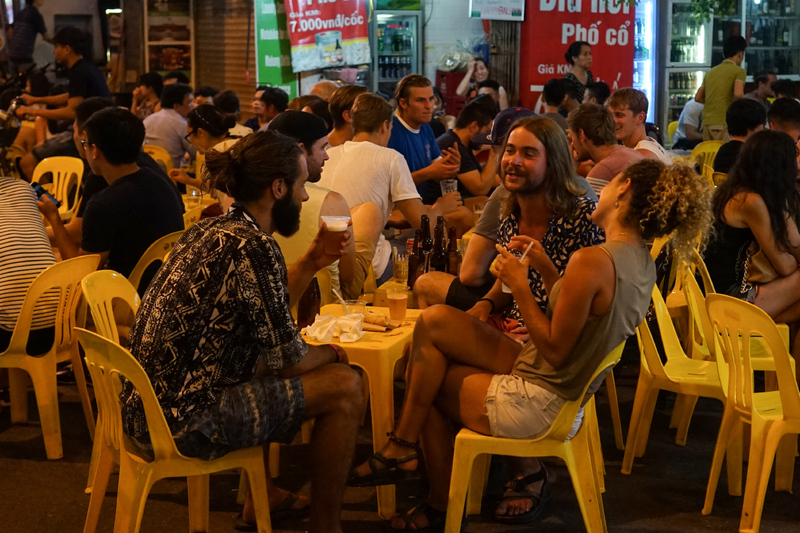 Ta Hien Street is more and more drawing thousands backpackers from everywhere around the world. It is an unforgettable memory when you stop here to have some beer after long day of exploring the Old Quarter.